1. Invest in yourself. Increase your financial IQ. Investing in yourself is not only about of physical looks and appearances. More importantly, it is about acquiring wisdom in all aspects of life. 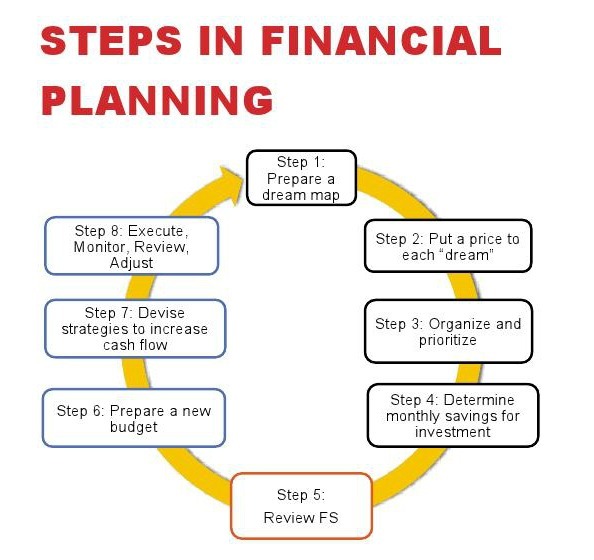 In terms of your financial life, the most important personal finance advice is to invest time and money in financial education and subsequently increase your financial IQ. There are many ways to do this. Invest time in reading books and websites about managing your finances. Invest money in attending paid seminars organized by financial experts. Attending financial management seminars have more advantages than just mere reading. You will have the opportunity to interact with like-minded people and with finance trainers. At Wealth Academy, you can attend free money management seminars as starting point. Visit img-wealth academy's website for the list of cities where seminars are regularly conducted. 2. Become a planner not merely a saver. I used to think that saving is an end by itself. In most cases, people do not have financial goals, thus saving would not have any real meaning and purpose. There are many motives of saving but more often we forget the most important motivation: to grow our money. In the absence of a financial plan, we put our savings in banks which is not a wise financial move. Inflation will eat up the value of our money. The next best thing to do is set financial goals, classified into short and long term and put a savings plan for each goal. See a related article on financial goals setting. I often heard “pay yourself first” but it did not really sink in. Without a financial plan, you will never understand and appreciate the “pay yourself first” dictum in most personal finance advice. It just means that you have to set aside the money you allocated to achieve your financial goals before you pay others. In other words, you have to discipline yourself to trim down your discretionary spending. This mindset is really important when you take retirement planning seriously. A well thought out retirement plan is in itself a step towards financial security. Financial security is about striking a balance between life today versus life in the future. Is spending spree today more important to you with nothing to spend in the future? Are you willing to sacrifice now and enjoy later? Or do you want to enjoy now and suffer later? Striking a balance between the two options is a matter of personal valuation and determination. As much as possible, never borrow money to finance a lifestyle. Be cautious in the use of credit cards. Instead, borrow for investments! Your borrowed money should get returns higher than the interest you will be paying for. 6. Protect yourself and loved ones. Protecting yourself and loved ones is about insurance. Insurance should not be considered an expense but an investment. Without protection, all your assets will become a bargain, the moment death and major illness happens to the family. Develop a giving, rather than a getting habit. The number one rule is, put God first. Give your tithes and God promises blessings in whatever you do. The second rule is, share your blessings to others. We do not exist in a vacuum. God commanded us to be our brother’s or sister’s keeper. Many successful people attest to the overflowing of blessings because of a giving attitude.